This pectin-free blackberry jam recipe will allow you to enjoy the great taste of blackberries all year round. Blackcurrant Jam is probably one of the easiest jams to make because blackcurrants are packed with pectin! Many people have Japanese Quince bushes in their garden for the wonderful spring flowers. 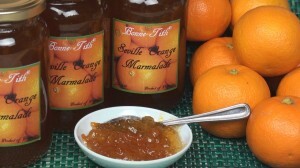 The fruit is quite astringent-smelling, but you can still use it to make a delicious jelly. Raspberry jam is extremely easy to make and is my absolute favourite jam. 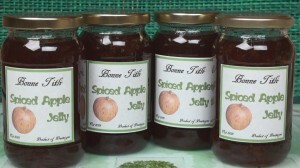 This delicious apple jelly / apple jam is like apple pie in a jar and goes really well on toast! If you find yourself confronted with cheap strawberries, take the opportunity to make strawberry jam. This recipe doesn’t require pectin, but is guaranteed to set if you get the jam to the right temperature.